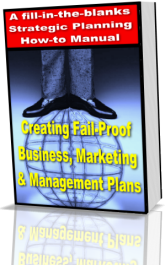 This Manual Empowers Leaders' Plans! as a guideline for making performance improvements? Guideline-1 - Enrich Their Experiences! and lifeless pieces of paper. will be responsible for making it successful. journal and taking low cost self-paced courses. courses or training conducted by in-house personnel. Guideline-2 - Grow Their Domain! refinement and execution of the plan. directed learning, and leveraging human capital assets. any of the above categories. them accountable for refining and supervising the plan! Guideline-3 - Nurture Their Maturity! nurturing or realizing a state of maturity and credibility. => Act in congruence with your values, ethics and morals. towards developing into mature, seasoned leaders. and their leadership development efforts - you can too! more valuable than natural [leadership] ability". that's sure to deliver real performance improvements. program energizes the execution of your plans. Bill Thomas teaches leadership techniques using strategic, innovative, evolutionary-focused concepts - his 2-Volume, how-to Manual, "Strategic Organizational Leadership: Create & Deliver Fail-Proof, Breakthrough Plans", uses an energizing process of group development to produce value empowered results! "See it, Plan it, Lead it, Improve it!" "Create, Implement & Lead Effective, Strategic Plans!"